Let our team make your wedding day a stress free and unforgettable day! 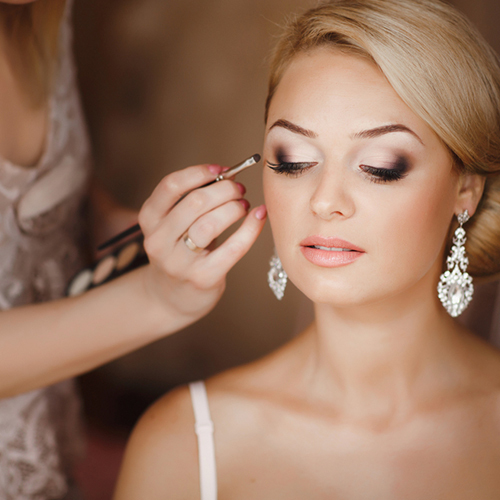 We offer bridal hair and make up, on site or in our salon. Achieve the perfect colors to accent your natural beauty with a custom blended foundation and make-up that’s guaranteed to last for hours giving you the perfect flawless look for any day or evening. Whether you have one Maid of Honor or 15 bridesmaids, we are here to help have every member of your wedding party looking their very best!